Magic of Three Islands… Three Islands of Brac, Hvar and Vis offer unforgettable experience of unique culinary and wine traditions coupled with unforgettable nature. Through that combination, you will explore magic of those islands. 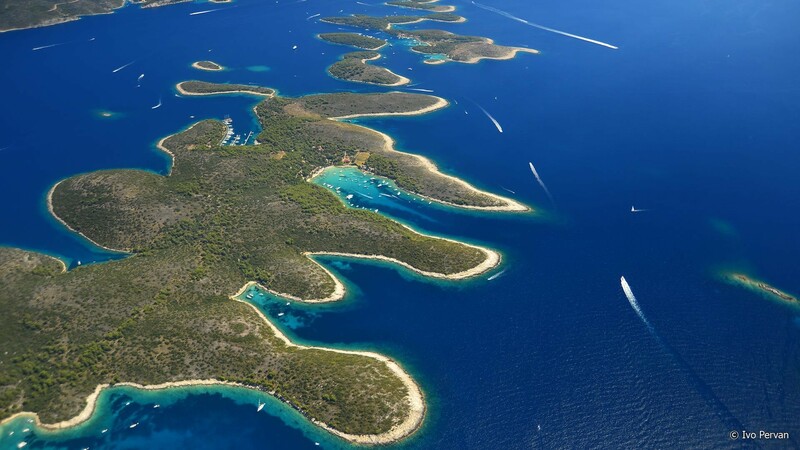 Complete immersion into wonders of these islands will make you feel a part of those intricate connections that form true Dalmatian way of life and it is an experience you will cherish forever. Day 1: Croatia Arrival …. Arrival to Split airport where you will be met and transferred to a hotel situated in Split city centre. Upon arrival and short break in hotel, welcome drink is organized where you will be given all necessary information about your tour and program. Day 2: Split After breakfast, you will meet your guide for private guided tour of Split centre. On your tour, you will discover ancient centre of this remarkable second largest city in Croatia. Diocletian’s Palace or Split centre is UNESCO protected world heritage site and offers unique perspective on ancient roman architecture. On your tour, you will stop at palace basements, Jupiter’s Temple, visit Saint Dominus Cathedral and much more. In the evening dinner will be organized in the old town in one of many restaurants that have sprung open in the recent years since Split gastronomic scene has exploded. Enjoy your dinner in amazing surrounding of this buzzing Mediterranean city! Return to hotel after dinner. Day 3: Brac Island In the morning after breakfast you will take a short ferry ride to the first island you will be visiting while staying in Croatia. Island of Brac is the largest island near Split and has unique culinary heritage which you will explore during your stay. Upon your arrival, you will take a short ride to Vidova Gora, highest point on Brac island from which you can enjoy amazing vistas of nearby islands of Hvar and Vis and look down on beautiful Golden Horn beach. In Bol you will visit Stina winery where wine tasting and light lunch will be organized. To round your experience dinner will be organized in traditional setting of small town called Skrip, where museum of olive oil is located. While waiting for your dinner to be prepared short tour of the museum will be organized. Return to your hotel later in the evening. Day 4: Hvar Island Arrival… After breakfast transfer to Milna where you will catch catamaran to Hvar. Upon your arrival, you will be taken to your hotel to check in. In the afternoon, you will be taken to wine tasting where you will discover authentic wine varieties of the island and long tradition of wine making that dates back almost 2.500 years to the ancient Greeks, fist colonists of the island. Free evening for you to explore buzzing city of Hvar. Day 5: Hvar, Vis Arrival… After lunch which will be organized in Hvar town, private boat taxi will take you to Vis Island. There you will settle in your hotel and enjoy free evening discovering this jewel of Croatian Islands, almost untouched by tourism industry. Day 6: Vis Island, Stiniva beach and Cooking class… After breakfast, you will go to Stiniva beach on the other side of the island. Voted as most beautiful beach in Europe by European Best Destinations this beach will offer perfect relaxation and enjoyment of one of the most beautiful locations on the Dalmatian coast. After swimming, you will continue to your cooking class where you will discover traditional dishes of the island an ambience of traditional Dalmatian stone house surrounded by nature. Free evening. Day 7: Vis Departure… After breakfast, you will catch catamaran to Split where you will be transferred to your hotel. Free afternoon and evening for exploring Split. Day 8: Departure day… Depending of your departure flight transfer to the airport. Price per person (based on group size of 2): 2.392 Euros- included VAT, hotel 3*, all transfers, tickets, guides and meals as stated in the program.